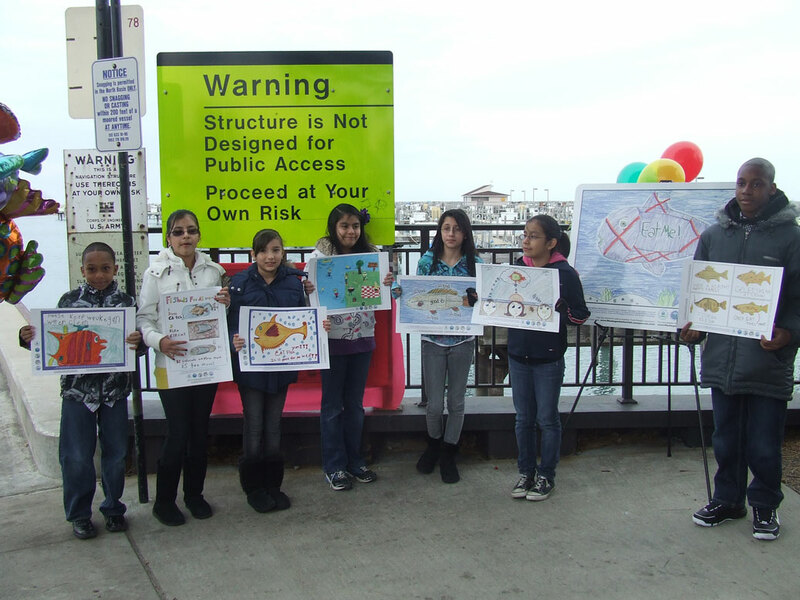 The Eat Fish Safely Program was a collaboration between the US Environmental Protection Agency, the Illinois Environmental Protection Agency, Waukegan Public School District 60, the Waukegan Harbor Citizen’s Advisory Group, the Waukegan Port District and the City of Waukegan. The goal of the program was to educate public about the fishing and the safest clean fish that have been caught in Waukegan Harbor and Lake Michigan. 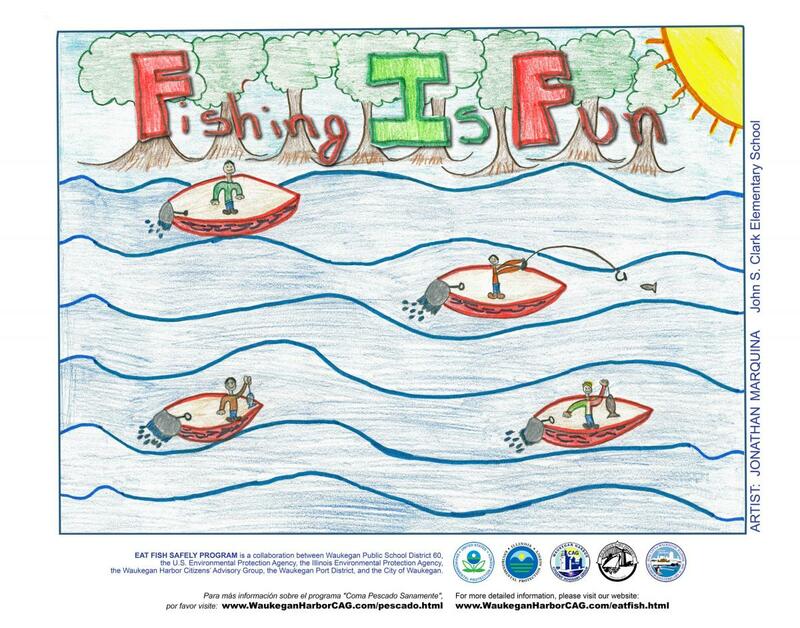 In 2011, the Program sponsored a poster contest in several Waukegan elementary schools. Students were asked create art work that would explain, with simple images, the safest way to clean fish for the dinner table. The winning posters are displayed in this gallery.